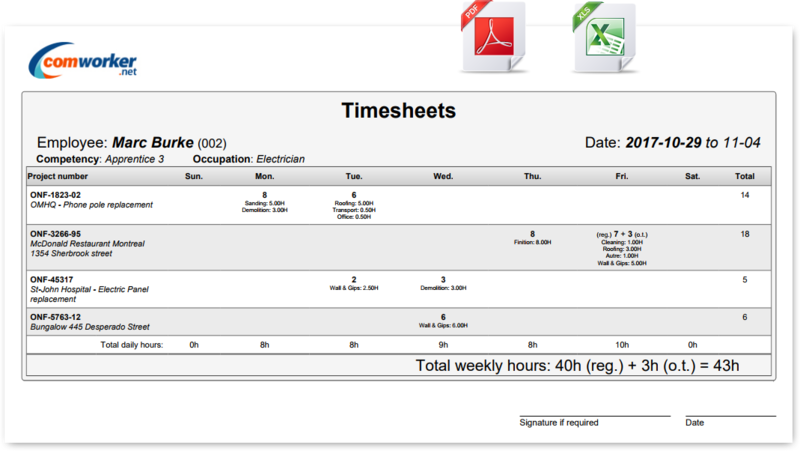 Comworker allows you to get rid of paper timesheets and Excel files and helps you save time. Effectively manage your employee scheduling using the mobile application. 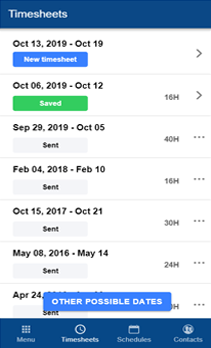 Keep a record of your expenses with attached receipt photos and track progress in hours by project. A tool that saves you money right from the start. perfectly tailored to construction and field services companies. No need to call or send texts notifying your employees of their schedules. They can see where, with who and when they are working. A text message is automatically sent alerting them of any changes. 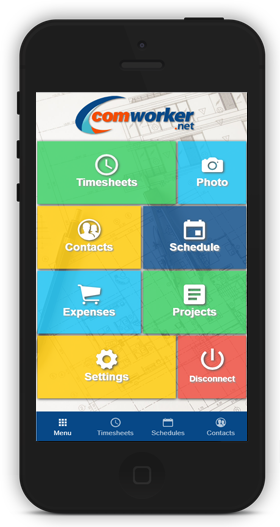 Your employees complete their timesheets linked to the projects list on their phone or on the web. 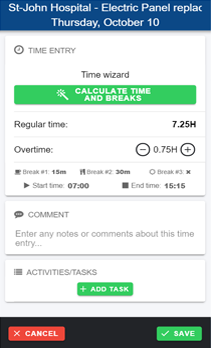 Hours are automatically calculated for each project! 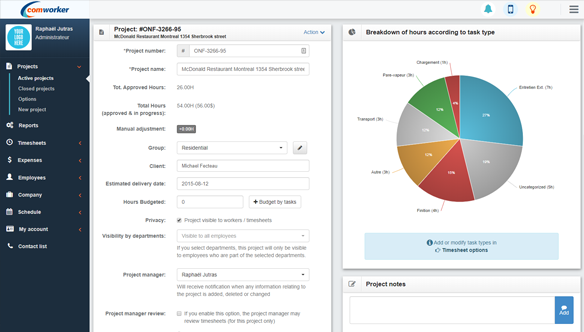 The schedule management tool was developed to enable you to quickly and efficiently schedule your employees using your projects list. You have to try it! You no longer have to sort your emails, paper records or Excel files. 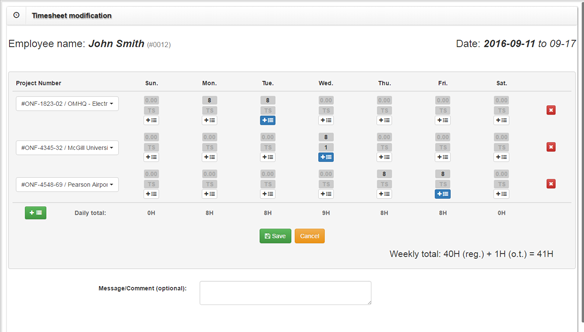 You can also print all your timesheets and expense reports in one click! 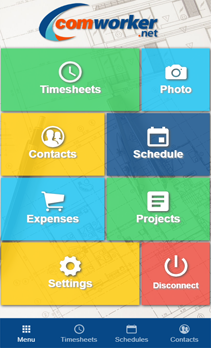 Expenses are automatically filed by project. Your employees complete expense reports with attached receipt photos and invoices in seconds. Save time on payroll processing with our electronic timesheets. 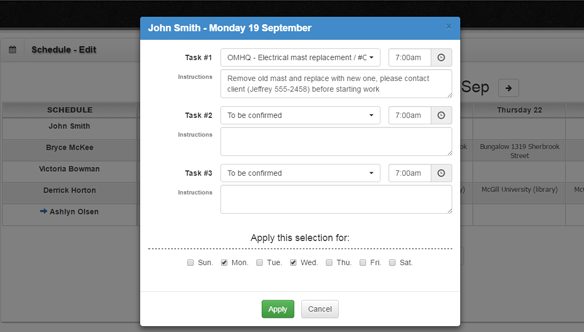 Eliminate unnecessary phone calls with the SMS integrated scheduling module. Comworker automatically tracks time for your projects. No contract or activation fee. The 30-day trial gives you access to all features. You decide if you want to continue after the trial. All time entries can be directly linked to a project through your list which is updated in real time. Total hours by project is automatically calculated on the web platform. You can give access to certain employees (supervisors, foremen) so that they can modify and manage the timesheets of other workers. 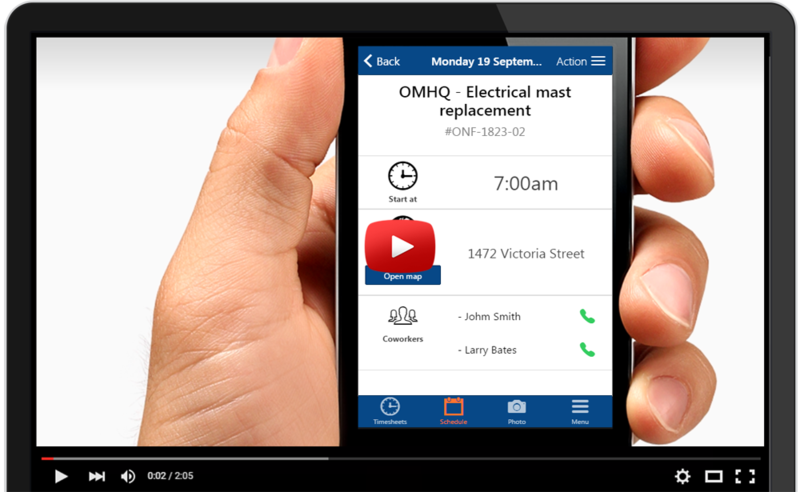 Access scheduling at any time from your phone. Changes you make on the web platform are updated instantly. Your employees also receive an SMS notifying them of any changes. 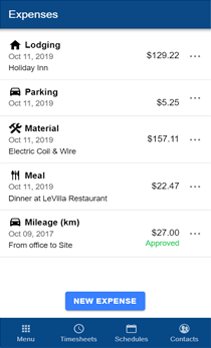 Complete expense reports with attached receipt photos in seconds. Each expense is filed by project and you keep an accurate record of each invoice. Send photos filed in your projects. Photos are available in the "cloud" for future access. Fast and easy access between employees. 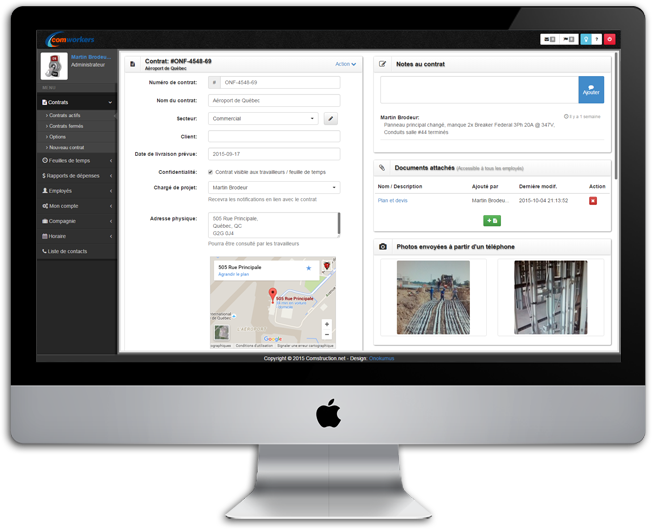 The project dashboard gives you fast visual access to all relevant information such as attachments, sent photos, expense reports, total hours, etc. You and your workers can leave notes and files which are available to everyone. Quickly and visually manage your employee schedules. Create schedules by directly selecting the project you previously created. Updates are made in real time on the mobile application and schedules remain private between employees. Keep accurate records, export PDF and Excel files in one click, quickly and easily modify timesheets and automatically summarize hours by project. Attach files relating to each employee, notes, sample cheques, etc. Employees change mailing addresses and phone numbers themselves and you receive constant updates. Grant permissions and personalized access to office employees. 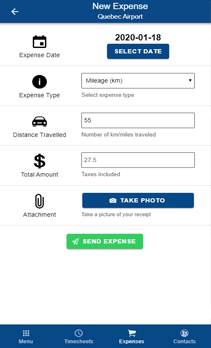 Keep an accurate record of your expense reports with attached invoices/receipt photos. Your files are available in the cloud from anywhere! Easily export monthly reports in PDF and Excel format for every employee. 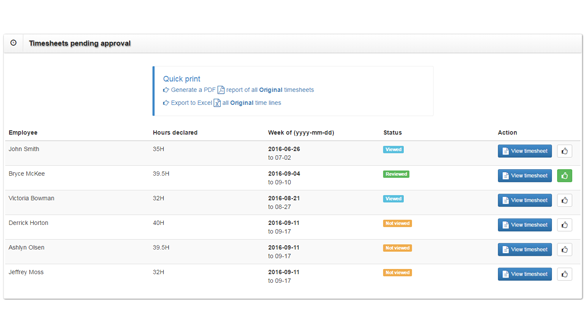 Easily generate reports by projects, employees or date range. Reports are saved in PDF or Excel format.